The Parameter ?cdn_url= have In that flash file we can find functionality that looks into the SharedObject "com.conviva.livePass" for recently loaded swf-URLs under the key "lastSwfUrls". As far as I understand it, this is intended to look up if a flash file has been recently been loaded and should be in the cache of the browser, to try to always hit the cached file even if the URLs vary. SharedObjects in Flash are stored on the basis of the domain of the flash file, so in this case the file will always be stored in a.vimeocdn.com/com.conviva.livePass.sol. Using a vulnerability in moogaloop, we can set the SharedObject and get any flash file loaded we want. 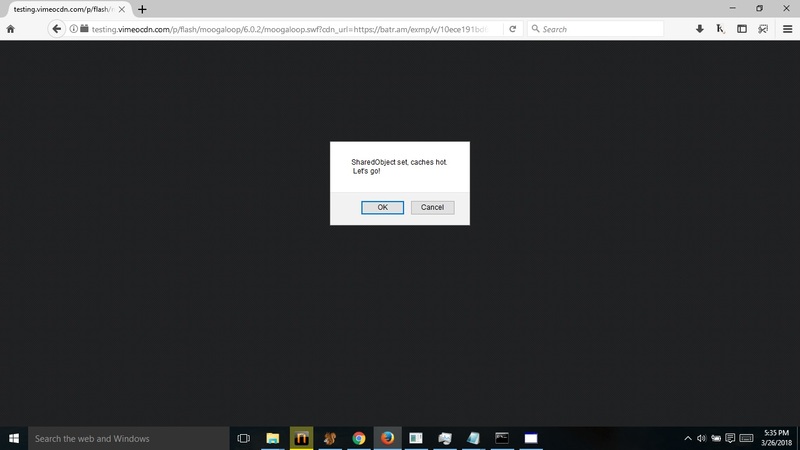 Resulting in XSS on any site that includes the moogaloop flash player via the deprecated embed code and not the iframe solution.